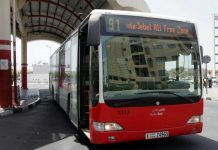 Tracks of a new transit mode in Downtown Dubai have been laid and the ‘Dubai Trolley’ will soon ply on it. 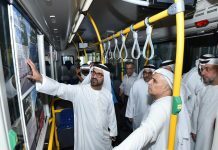 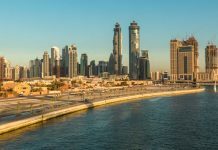 Dubai Trolley is the new tramway for Downtown Dubai and it is not an extension of The Dubai Tram in Al Sufouh, nor will it look anything like the tram that is to be launched this November. 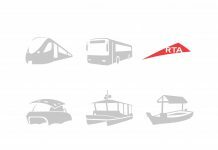 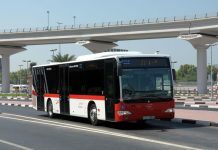 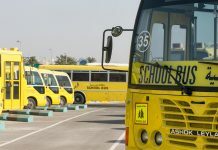 It is Downtown’s very own, unique transit mode aiming to offer easy access to such iconic Dubai landmarks as Burj Khalifa and Dubai Mall. 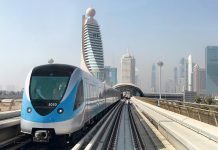 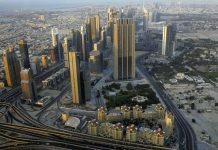 The first rails have been laid on Sheikh Mohammed Bin Rashid Boulevard. 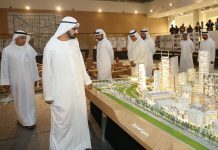 According to staff onsite, this is the first phase of the tramway, which will stretch from one side of the boulevard to the other; or from The Address Downtown to Burj Khalifa.